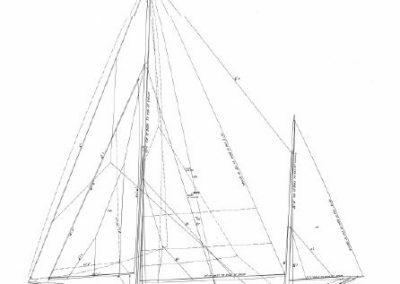 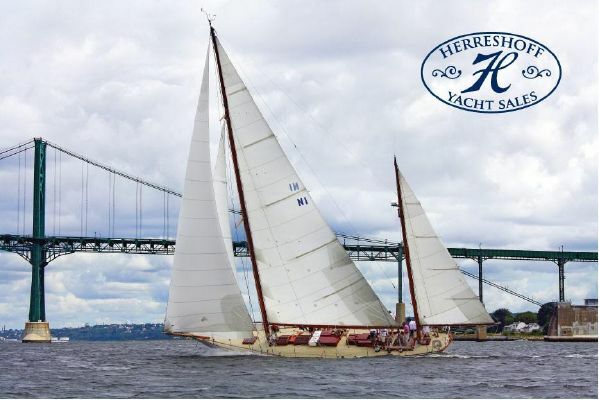 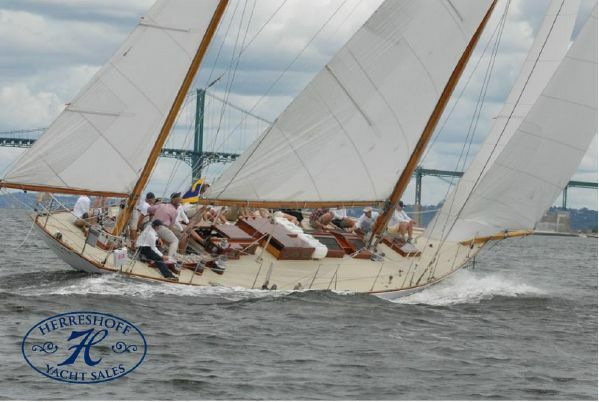 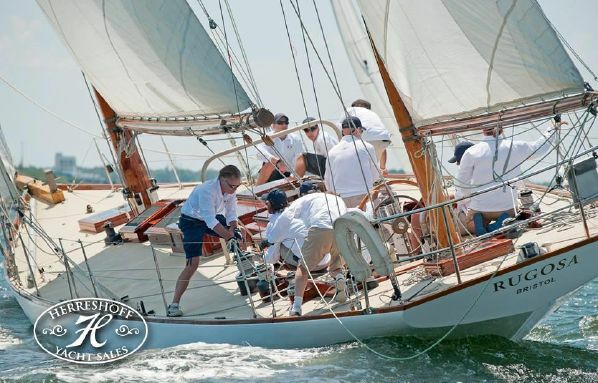 The yawl-rigged New York 40 RUGOSA is was built by Herreshoff Manufacturing Company in 1926, and is the most original preserved of all NY40s – with original spars, deck houses and interior arrangement. 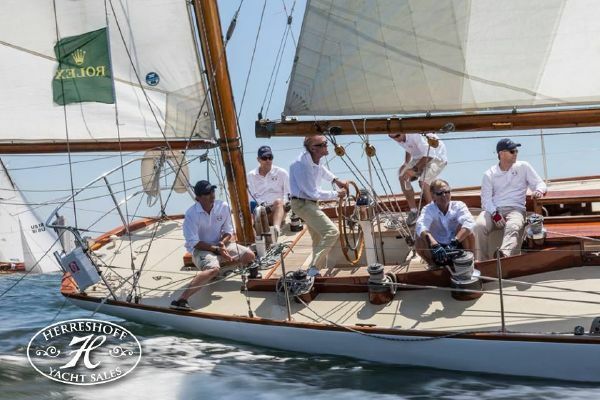 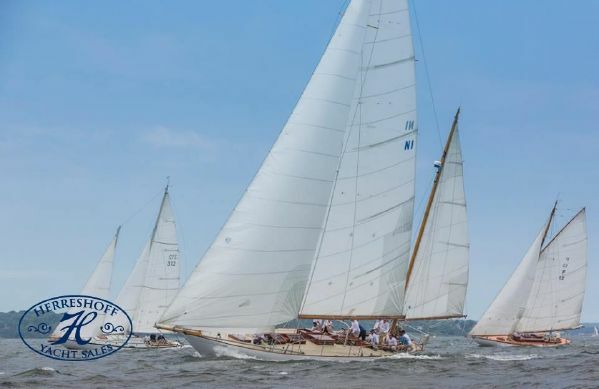 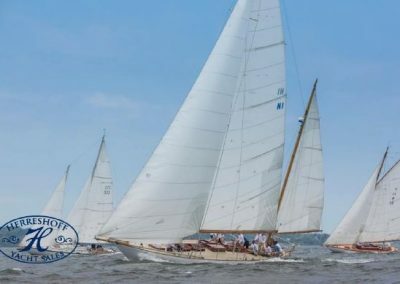 In their day the highly competitive NY40 yachts earned the accolade “Fighting Forties,” and RUGOSA has carried on that spirit by winning the 1928 Bermuda Race and scores of others since. 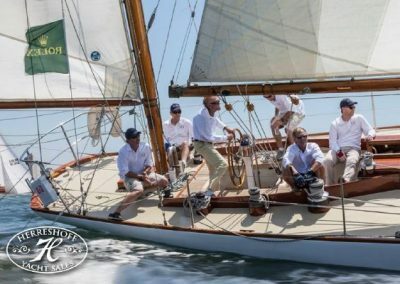 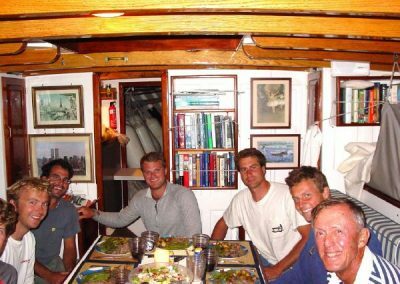 Trophies commemorate wins in Nantucket, Newport, New York, Cannes, St. Tropez, Antiqua, and Cowes – where she prevailed over 57 other classic yachts, largely from Europe, in the 2001 AMERICA’s Cub Jubilee. 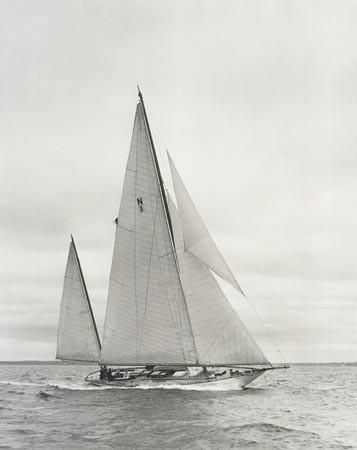 Between races RUGOSA has cruised the entire East Coast of the USA, Caribbean, Sweden and much of the Baltic, Western European coast, Mediterranean and many transatlantic crossings. 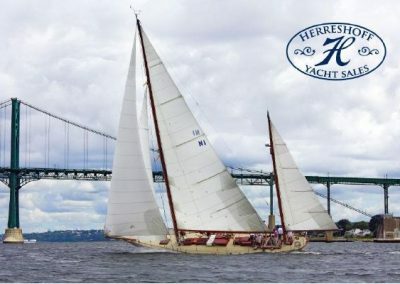 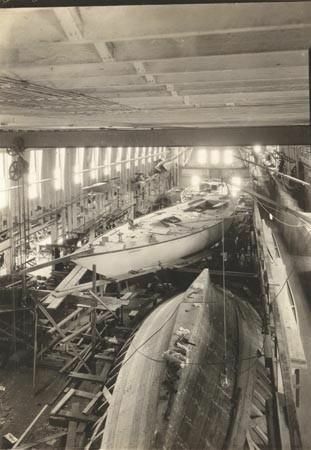 Admittedly, much of RUGOSA’s success is due to the exceptional helmsmanship and stewardship of none other than Halsey Herreshoff. 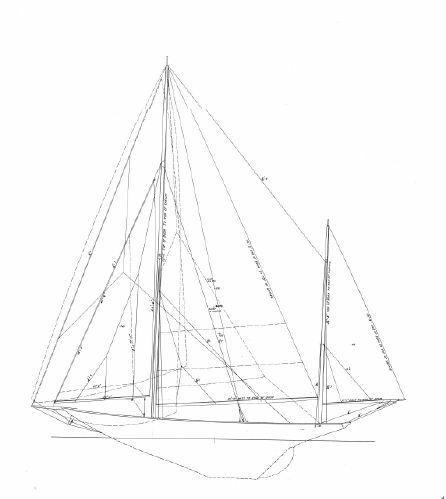 Halsey has owned RUGOSA for 30 years, and is now (reluctantly) selling her due to practicality of advancing age. 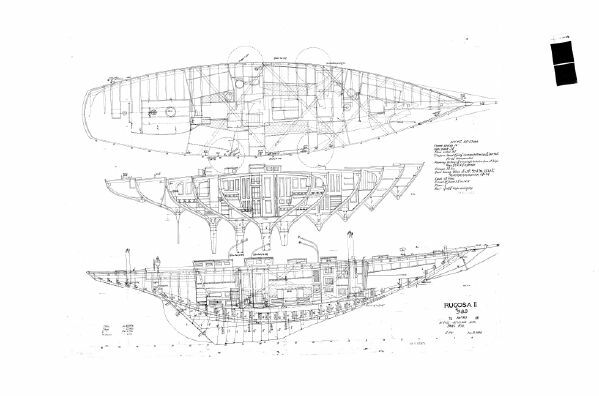 “Get out when ahead,” as he puts it. 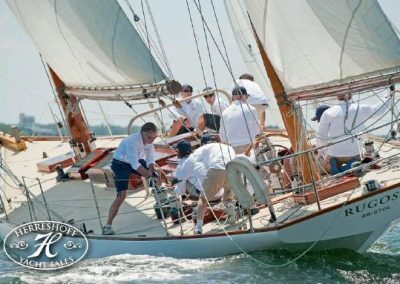 RUGOSA is currently located in Portsmouth, RI and is ready for commissioning or shipment to Europe for the 2018 summer racing season. 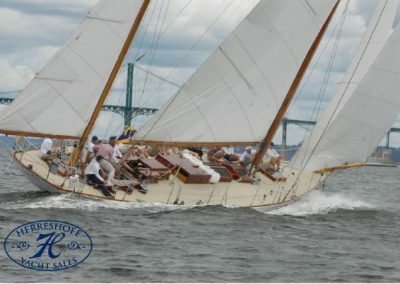 Call Alec Brainerd at (207) 542-0372 for price and more information.